3-axes high rigidity & precision roller guide ways. Direct driven spindle makes excellent finishing surface with low noise and low vibration. Full enclosed splashguard for elegant outlook. Wide door open design, easy access to working-piece. 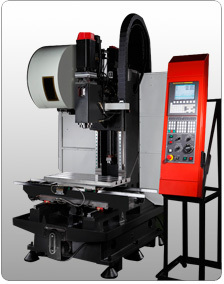 Box type headstock construction provides outstanding cutting capability. Heavy duty roller guide ways with wide spacing. Direct driven on 3-axes ball screw. Standard sprial type chip conveyor in the middle removes chips out easily. 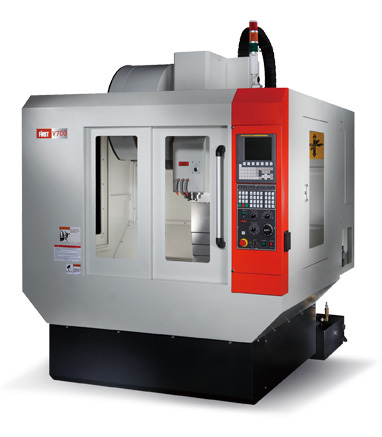 TWO INDEPENDENT PUMPS ENSURE EFFICIENT COOLING ON WORK PIECE AND STRONG CHIP FLUSHING DURING MACHINING. 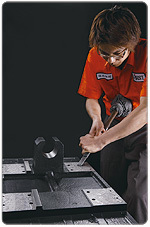 Hand scraping and precision grinding ensure stability and caauracy. Automatic central lubricator provides excellent lubrication to all guide way blocks and ball screw. Steel wiper Oil skimmer can easily saparate the oil from coolant water.